Let’s take when I was making my machined titanium build. The coin gain started slow at first, but improved exponentially. At first I was scraping to buy expensive aoe hammers, I would be mining for silver and iron to make alloys, I always end up with at least a smart stack of silver and several of gold, along side stacks of coal, and if I chose the right spot, quite a bit of diamond too. Selling half of that would give me enough to buy tools/food for a few runs. Also done the same for foliage/trees, which was quite profitable, as there is multiple drops on T6 which are always in demand (sap, leaves, bark). Done that for a while, then was fortunate enough to enter into an excellent mutually beneficial deal (thanks @AeneaGames), so my costs went down and coin/mat gain went up. Then I got into forging, and making my own tools brought the costs down again. So went back to selling half of what I gathered, from shimmering orbs to mining loot, I would go time about from gathering mats for making forge mat to stuff I wanted for building. And now, I don’t really focus too much on coin, though need to think a little more about it now the costs to exowarp are gonna add up. 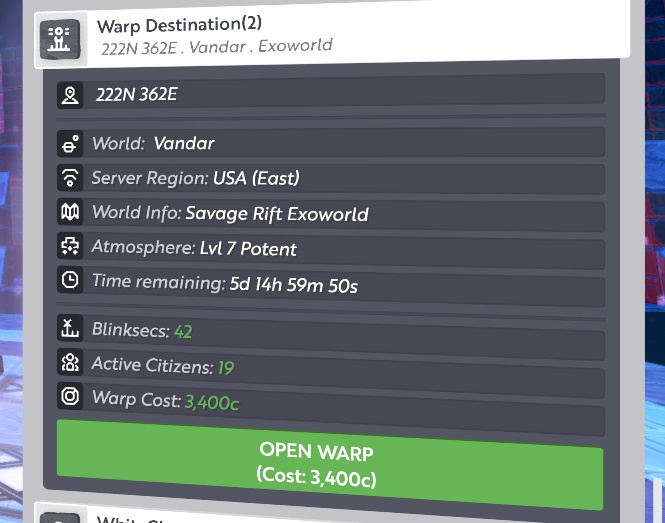 Anytime I’m going to one, I’d be more than happy to have you warp leach! Just seems like you aren’t partaking in the economy. I’m not quite sure how anyone is broke in this game. You have to be willing to sell to make money. If you dont sell, you will be broke. If you do sell you will make money, and can use that money to buy completed items of your choosing to make even more money, to the point that money is useless. Sorry about derailing the thread, guys. Back on topic, what are the “jump off” worlds to get to the XOs? I don’t know what your set up is, but I find it easier to hit the Exo planet while using my mouse, instead of a controller. Especially when it’s moving really fast. Will those always be the jump off worlds? Those are the closest to the current T7 Exo planets. I think the Exos are random and we’ll get some that aren’t T7…so those should be closer to lower lvl planets (and cheaper to warp to). edit: Unless @Simoyd discovered some new Exo planets? it wont be until about11pm PDT before I can get on. I may just take you up on that this weekend. I tried to make a couple titanium AOE hammers last night and messed them up good. Cross pattern effect with -600 damage. Oof. I’ll buy those off of you. I have some low end titanium aoe hammers. Are you still interested? 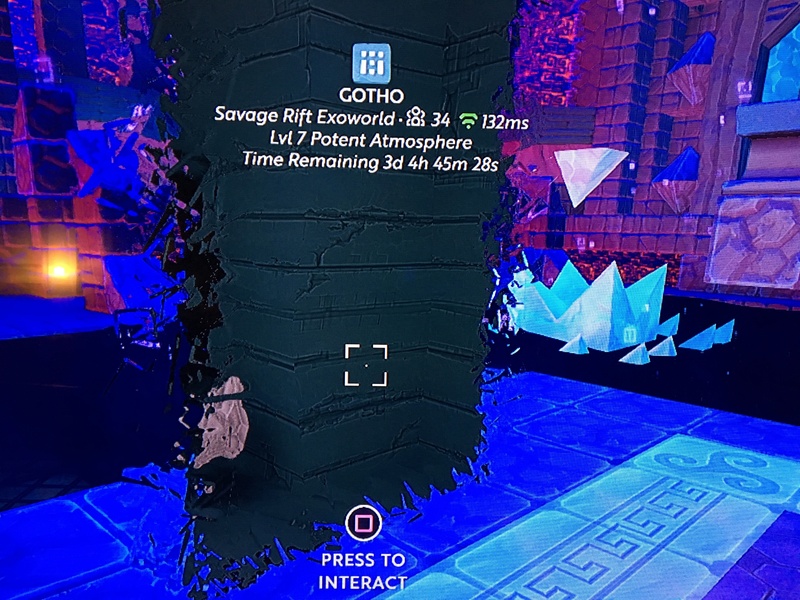 Sure, low end is good to get low tier rocks for brick and mosaic. Someone had a pic looking through the warp and it had the time left for the planet. . This was a shot from Friday evening. Is this the thread for new Exoplanets, still? Raken, T5 Exo, accessible from Flan has been up at least since yesterday but I didn’t see it on here, yet.